Call me crazy but, when I think of Easter, I think of Handel’s Messiah. That’s right. Messiah. The most popular choral work in history. The one that is always performed just before Christmas. Because performing all of Handel’s masterful oratorio takes about three hours, most groups do just the “Christmas portion”, which covers the prophesies about and the birth of Jesus, with the boisterous and popular “Hallelujah” chorus at the end. That rendition of Messiah is perfect for the Christmas season. But it’s only one-third of Messiah. The “Christmas portion” of Messiah is Part I of the oratorio. The “Hallelujah” chorus is the end not of Part I but of Part II, which covers the Passion and death of Jesus. Part III covers the resurrection of the dead and the glorification of Jesus in heaven. The first performance of Messiah was just before Easter. And, relevantly, it resurrected the career of its composer. George Frideric Handel was a child prodigy who composed operas as a teenager. By his 20s, he was the highest paid composer in the world, and every performance of his in London sold out. In time, however, audiences began chasing after newer artists, and Handel eventually went bankrupt. He became depressed, and stress brought on a palsy that crippled some of his fingers. “Handel’s great days are over,” wrote Frederick the Great. Handel’s troubles, however, matured him. His temper mellowed. He softened his formerly sharp tongue. And his music became more heartfelt. One day, the more mature Handel received from Charles Jennings a manuscript that was a collection of various Biblical texts about Jesus. The opening words, “Comfort ye, comfort ye my people,” moved Handel. He began to compose music for the manuscript. Three weeks before Easter in 1743, Messiah opened to enormous crowds in London, with Handel leading from the harpsichord. Handel’s fame rose again. Even after going blind, he continued to play the organ for performances of Messiah and his other oratorios until his death in 1759. At Easter or any other time of the year, Messiah reveals Jesus, our risen Lord and Savior. Zechariah returned to Jerusalem with Jewish exiles from Babylon. When Zechariah prophesied about judgment for Israel’s enemies, the people gained hope that the nation of Israel once again would rise to prominence. And when Zechariah followed that up with a prophecy about a righteous king bringing salvation and peace, the people saw that king as a military leader who would lead Israel to victory over its enemies. Over 500 years later, the people of Israel remained a relatively small band with little control over their destiny. Rome ruled their land. The Jews desperately wanted to overthrow their oppressors and re-establish their nation. They needed an anointed king to lead them in this quest. Could it be Jesus of Nazareth? Clearly he was chosen by God. He performed miracles. He spoke with authority about a new kingdom. He attracted huge crowds. As Jesus approached Jerusalem, thousands of people lined the streets. The noise grew to a deafening level. People threw palm branches and their cloaks on the road, as if they were lining it for a king. And Jesus was mounted on a donkey, on a colt, the foal of a donkey. It was Zechariah’s prophecy! Jesus was the promised king! 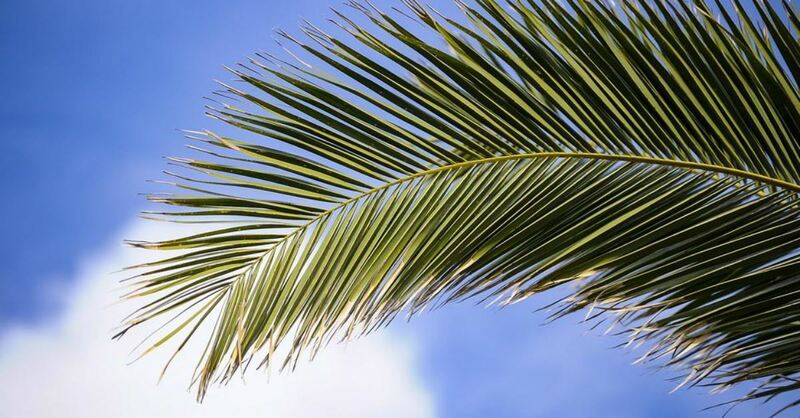 Hosanna! the people shouted over and over. Save us! Five days later, Jesus was dead, hanging on a cross. The hoped-for Messiah was just another pretender. Just another fake. Except that he wasn’t. In Zechariah’s day, and in Jesus’ day, the people wanted salvation from their political oppressors. What God promised and delivered was salvation from a bigger enemy. The Enemy. And Jesus brought that salvation by dying on a cross and rising to life on the third day…Easter Sunday. This Easter season, are you shouting at Jesus to save you? Or are you rejoicing that he already has? The first three verses of Psalm 2 are a prophecy of how the world would react when Jesus came on the scene. While the common people loved him, the rulers of the day – both political rulers and religious leaders – viewed Jesus as a threat to their positions of power. The “kings of the earth” responded by conspiring to get rid of Jesus. As detailed in Luke 23, the religious leaders could not kill Jesus on their own, so they brought him before Pontius Pilate, the Roman governor of Judea. When he learned that Jesus was from Galilee, Pilate sent him to Herod, who had jurisdiction over that region. Herod ended up sending Jesus back to Pilate, and “Herod and Pilate became friends with each other that very day” (v. 12). When Pilate protested to the religious leaders that Jesus had done nothing deserving death, they demanded that Jesus be crucified. According to the Gospel of John, when Pilate refused to crucify Jesus, the religious leaders incited the crowd to threaten that Pilate was an enemy of Rome because Jesus had declared himself a king, and anyone “who makes himself a king opposes Caesar.” (John 19:12) Fearing for his political life, Pilate had no choice but to turn Jesus over to be crucified. The rulers of the world appeared to have won, but God, of course, got the last laugh. The death of Jesus on the cross was not a defeat but a victory…for each of us. Jesus died for our sins and opened for us the pathway of salvation. That’s why Psalm 2 says that God holds the rulers of this world – and Satan, whom Jesus called “the ruler of this world” (John 12:31) – in derision and laughs them to scorn. Ultimately, God will break, or rule, all those who have rejected Him, and God will shatter them to pieces like a clay jar thrown against a wall. Psalm 2 is a foreshadowing of Christ’s work on the cross. Another relatively obscure Psalm provides a foreshadowing of the events two days later, on Easter morning. When the Psalms were written, and for centuries before, women celebrated the victories of the Israelites with music, songs, and dances. They also announced any good news or joyful event to the people at large. In Psalm 68, the news is coming directly from God, and God is entrusting the women to announce the news to everyone. 1,000 years later, God again entrusted women to announce the best news of all. On the first Easter morning, all of Jesus’ disciples were in hiding. The only followers who came near the tomb of Jesus were women: Mary Magdalene, Joanna, Mary the mother of James. When they returned from the tomb, they had an amazing announcement for the disciples: the stone was rolled away, the tomb was empty, and angels had told them that Jesus was alive. Most of the disciples did not believe the women, but Peter and John ran to the tomb and saw the strips of linen and cloth that had been wrapped around his body and head. The two returned to the other disciples and told them that the tomb was empty, thereby verifying the report of the women. Mary Magdalene returned to the tomb and stood outside it, weeping. After speaking briefly with two angels, she turned and saw Jesus, whom she recognized as soon as he said her name. She returned to the disciples and exclaimed, “I have seen the Lord” (John 20:18). The first people to see and report on the empty tomb were women. The first person to see the risen Jesus was a woman. God entrusted women to announce the most important news in history. To begin the final part of his oratorio, which focuses on the resurrection of Jesus, Handel went to an unlikely source: the Book of Job. Job, who likely lived at least hundreds of years before Moses, was a “blameless and upright” man who “feared God and turned away from evil” (1:1). God had blessed him with 10 children and enough property, possessions, and servants to make him “the greatest of all the people of the east (v. 3). When Satan told God that Job was faithful only because God had blessed and protected Job, God allowed Satan to take away all of Job’s blessings: his children, property, possessions, and even his good health. Yet Job continued to worship God. Much of the Book of Job is a long conversation between Job and three friends who believe that Job’s suffering is a punishment for sin. When Bildad the Shuhite reiterates that God punishes only the wicked, implying that Job is wicked, Job responds that he will be vindicated—or redeemed—after he dies. We can join her song with confidence. Our Redeemer lives and, in the end, he will stand upon the earth. We will join him in our resurrected bodies and gaze upon the face of God. 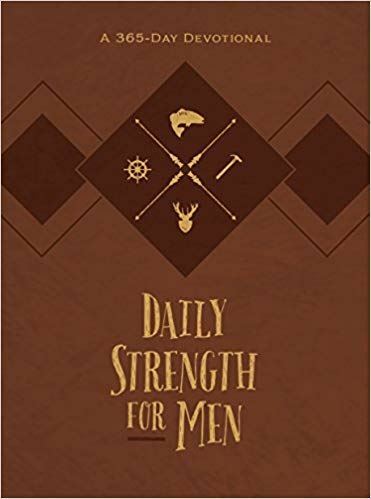 Chris Bolinger is the author of Daily Strength for Men, a 365-day daily devotional from BroadStreet Publishing where every verse is from the Old Testament. The book is available at Amazon, Barnes & Noble, Christian Book Distributors, DailyStrengthForMen.com, and other retailers.